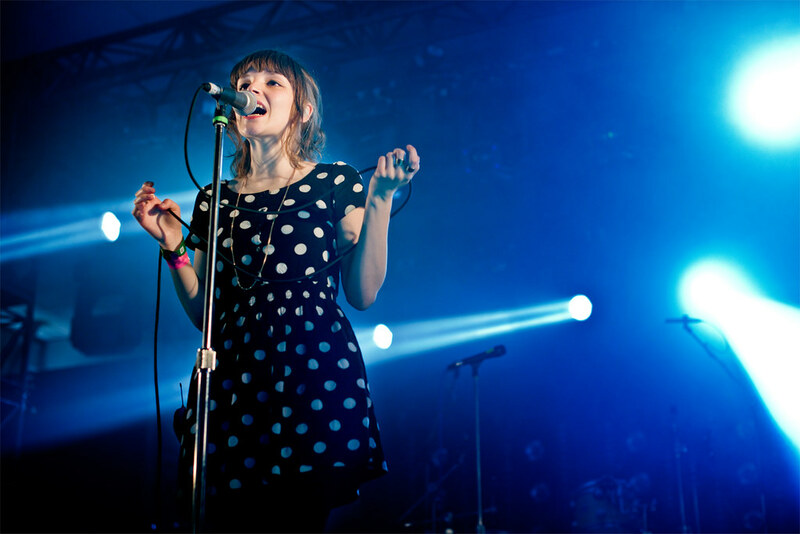 Lauren Mayberry of CHVRCHES performs at Hype Machine's Hype Hotel during SXSW. Day three, according to my well mapped-out plan, looked jam packed. And with the weather reaching into the mid-70s, it was going to be a beautiful day, making it a perfect day to see downtown Austin since it looked as though I'd be walking a lot, from venue to venue. SXSW boasted over 2300 bands and 100 venues over the five day music festival and, although it's impossible to watch every single band and go to every single venue, planning ahead makes all the difference as anyone can easily get overwhelmed with the scene and get off their schedule. Also, featured showcases presented by such brands as Myspace, Filter Magazine, Tumblr, Dickies, Vans, Pitchfork , Yahoo, SPIN, KCRW and NPR are always very popular. And there are some venues that you often find yourself at more often than others. 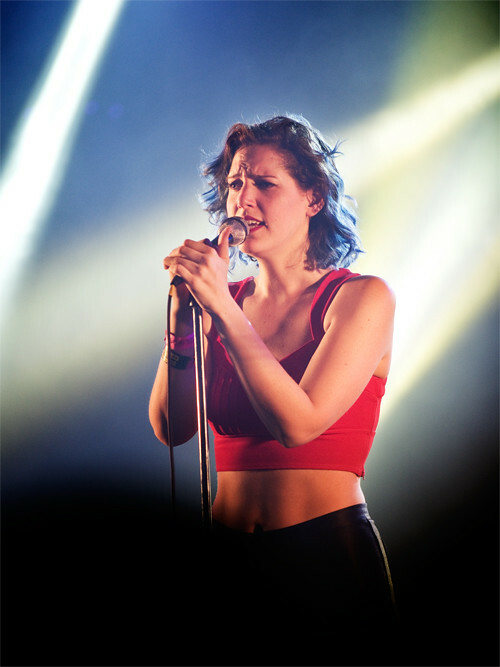 Such was the case for The Hype Hotel which showcased an eclectic lineup of artists ranging from electric, acoustic, R&B, rap, rock and alternative. And with free drinks and food offered by Taco Bell, it's not unheard of that you can spend your entire week there (I practically did). Curated by music lovers for music lovers Hype Machine's Hype Hotel is home to today's best up-and-coming acts around featuring over 50 acts. Most definitely the best all-around music venue, this years' lineup includes buzz-worthy bands like Chvrches, Sky Ferreira, Charli XCX, MO, Ms Mr, Haerts and Solange to name a few. 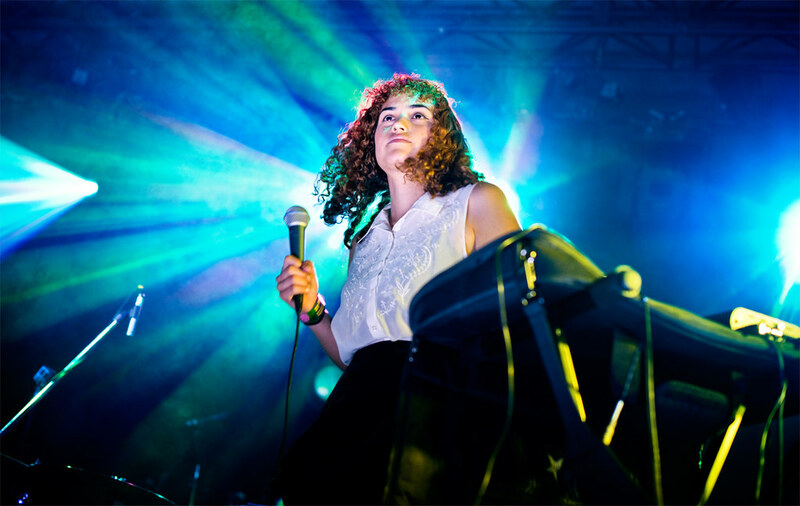 The day before, it was the astral pop sounds from Empress Of that I heard from outside which peaked my interest. Lorely Rodriguez is her name and she comes from Brooklyn, New York. Hailed by the Guardian as the new Grimes, Empress Of paints her dream-pop songs like an impressionistic painter, dabbing some drum beats here, light brushing sythns there and touching it up with soft vocal strokes; step back and, as a whole, you see a portrait come together of a serene sonic landscape of saturated melodies. 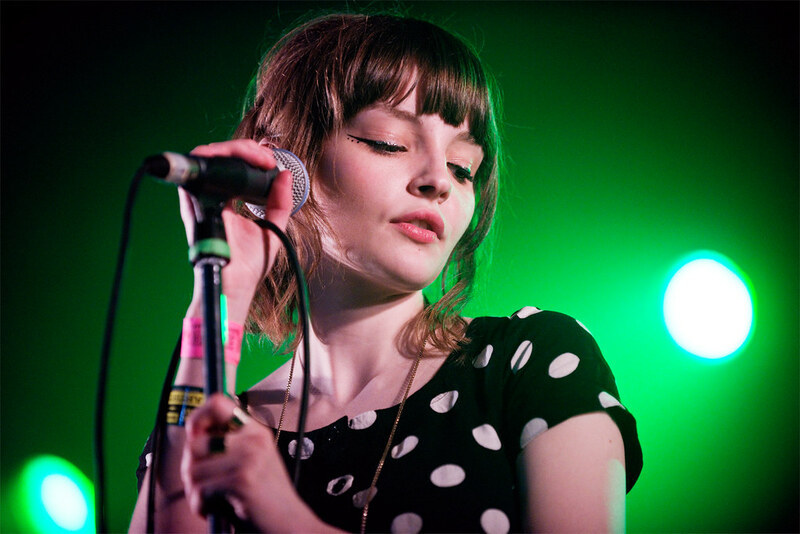 Lauren Mayberry of CHVRCHES during South by Southwest Music Festival at The Hype Hotel. Playing five shows in the span of three days, the band that seemed to be on every publication's 'Top 10 List of Bands You Have To Watch at SXSW' was the Scottish band Chvrches (spelled with a 'V'). Made up of petite front-woman Lauren Mayberry, Iain Cook and Martin Doherty, 2013 is shaping up to be Chvrches' breakout year. 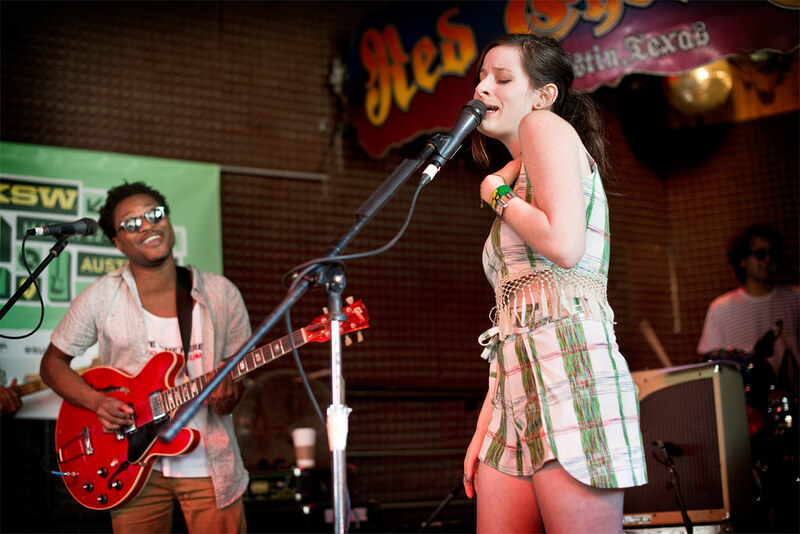 Wardell's Theo and Sasha Spielberg at The Red Eyed Fly during SXSW. Fresh and young sounding, fusing pop and electronic, their songs are bathed in a warm glow of vintage melodies with echoes of the romantic golden era. It's glam for this generation with glittery tunes and disco ball bliss. They just completed their first U.S. tour, selling out venues along the way on the strength of a couple hit singles AND without a proper record . How's that for buzz? That album is expected to drop later this year. Their EP recover was just released on March 25th. Check out "Lies," "Recover" and "The Mother We Share." 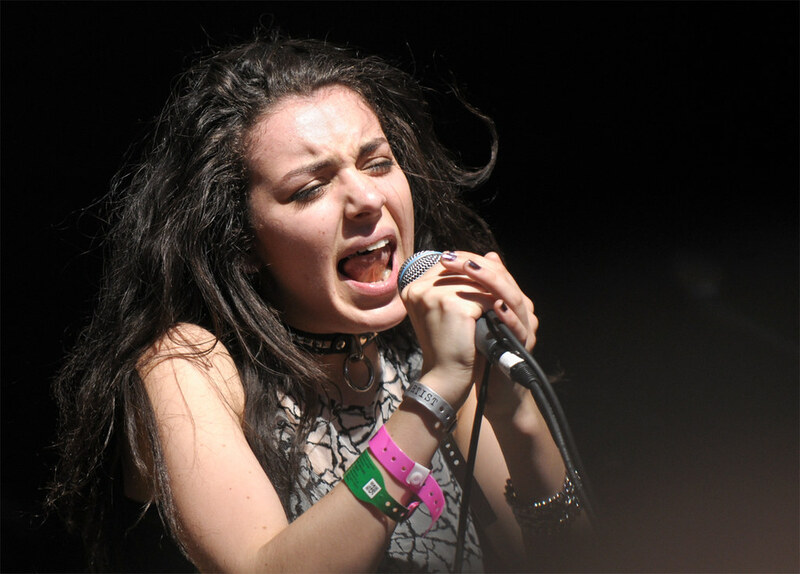 Charli XCX wows the SXSW crowd at Filter Magazine's Showdown at Cedar Street Showcase. 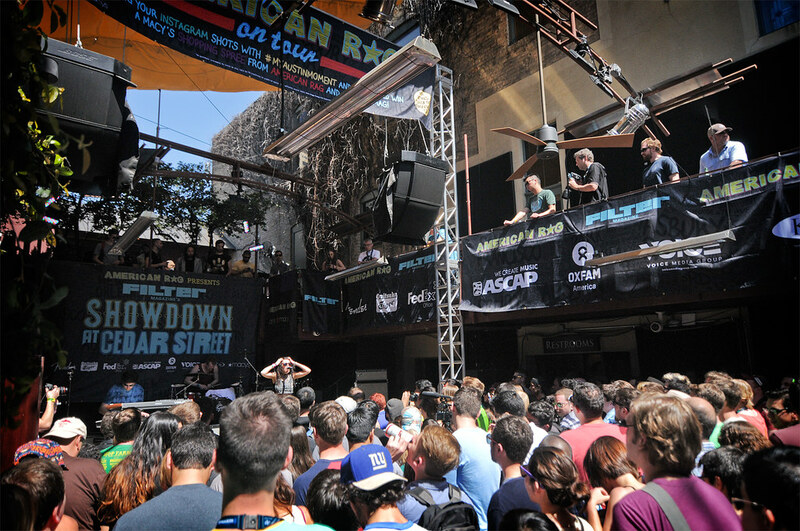 The Cedar Street venue, presented by Filter Magazine was one of my favorite spots at this years' SXSW. Held outside in a courtyard, specialty beers and cheap drinks made for a relaxing afternoon with great music. Emerging singer, Charli XCX is suddenly in high demand, going on tour with Ellie Goulding in April and then Marina and the Diamonds in May along with her own headline tour in the States in June. 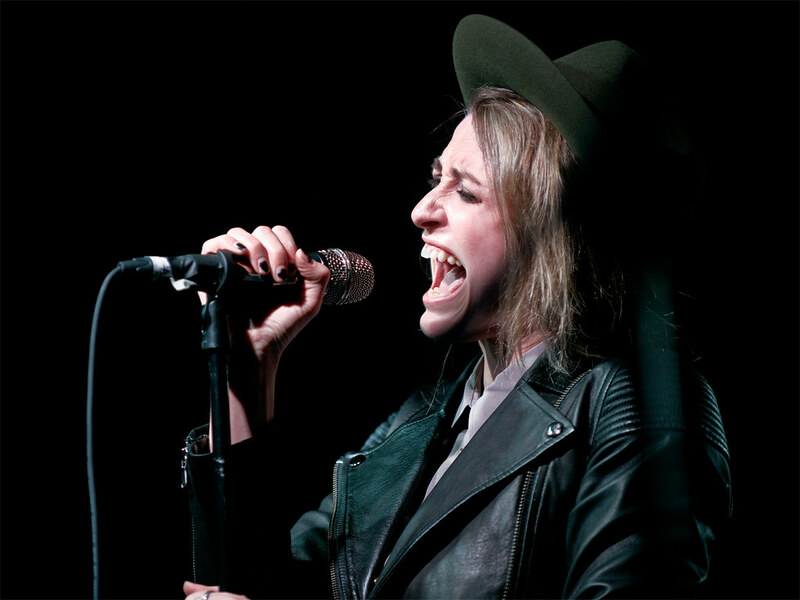 Her hit single, "You (Ha Ha Ha)" is catchy and full of sweet, sugary pop hooks. Her debut album True Romance drops April 16th and promises to be this years' surprise albums. One venue I found myself going to a lot was The Red Eyed Fly which hosted Los Angeles musicians Wardell and Sky Ferreira at their outside porch. Wardell, the brother sister duo of Sasha and Theo recently got signed to Roc Nation records (aka: Jay Z) and the anticipation of their debut EP or album, slated for release this June, is quickly building. With soft, SoCal beach harmonies and retro melodies, Wardell's first single "Opossum" has been on constant repeat on my iPod. Later in the day, 17 year-old Sky Ferreira took the stage; a show I've been looking forward to all week. It was a packed crowd for such an early performance but unfortunately, Sky lost her voice the day before. She was a trooper and sang a shortened set but it was obvious, she was straining to belt out those notes. Sky has gained a large and loyal following since the release two EPs, amassing over 100,000 Facebook and Twitter followers – all including the blogosphere who have crowned her the next big thing are anticipating her debut album which she recently told Popcrush that the sound is evolving into a "Sad Dream" mixed with "You're Not The One" vibe which, if you've heard those singles, is shaping up to be a very dark, electric-pop themed album laced with hushed, electronic-trance beats. 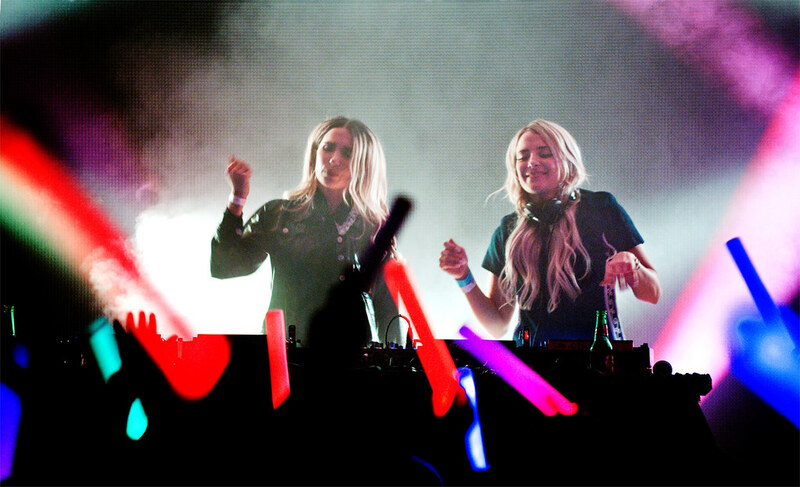 Republic Live hosted a night of EDM with Rebecca and Fiona during SXSW 2013. The variety of music found at SXSW is overwhelming. Flipping through the 100 page program and schedule is mind-boggling once you see all the bands you don't have time to see. So picking is key. See bands you've already seen and want to see again, or catch someone new which is what SXSW is all about, which is what I did. With the suggestion of Guerilla Nights, we headed to Republic Live to catch a double-billing of EDM DJ's TOKiMONSTA and Rebecca and Fiona, two artists mastering the marrying of dance and electronic music with the visual, astral glow of thumping lasers and sweaty partying teens. Empire Automotive garage was the setting the Roxy Presents show featuring Dead Sara as the headliner. 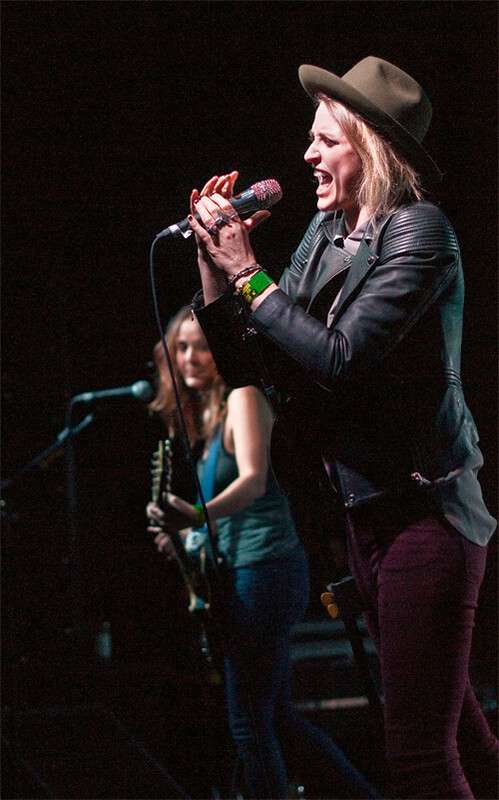 Currently touring with Muse, this was Dead Sara's only SXSW show. The day before they were in Dallas and right after their SXSW show, they hopped into their tour bus to join Muse in Phoenix the following day. Even with their grueling schedule, the fans this night didn't leave disappointed nor did Dead Sara perform less than expected. They performed at 110 percent, just like all their shows leaving fans fulfilled and exhausted just as exhausted as lead singer Emily Armstrong who performed with blood, sweat and tears, leaving everything on stage. It's 12 am on my third day and decided to squeeze in one last show. I ended the night going back to my favorite venue, The Hype Hotel, to catch the last few songs of MS MR, recently responsible for adding their song "Bones" to the season three trailer of my favorite show "Game of Thrones." They're songs feel dark and ominous layered over hypnotic-electro beats. I wish I couldn't caught their full set. Their new album, Secondhand Rapture, is slated to be released in May with a their first headlining tour of the U.S. starting in May and then a European Tour beginning in July. Check out more pictures of our SXSW on our Flickr page right HERE! PARAMORE'S NEW LYRIC VIDEO FOR "STILL INTO YOU"
BLEACHED DROPS NEW VIDEO FOR "NEXT STOP"